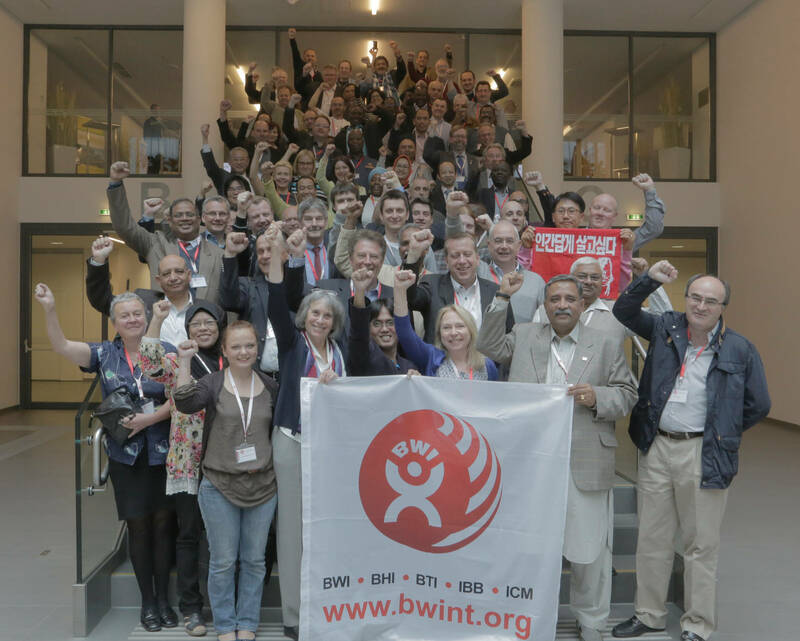 On May 6 and 7, 2014, the Building and Woodworkers International (BWI), in collaboration with the Industriall Global Union, the European Federation of Building and Woodworkers and the International Ban Asbestos Secretariat, brought together more than one hundred delegates from forty countries, to progress objectives in the global campaign to ban asbestos.1 Austrian trade unions  the construction union Die Gewerkschaft Bau-Holz (GBH) and Die Produktionsgewerkschaft (PRO-GE)  facilitated the gathering which took place at trade union premises in Vienna. Individuals key to these proceedings greeted delegates during the welcome session on May 6, 2014 and reaffirmed the commitment of their organizations to: the end of asbestos use; a just transition for workers and communities affected by the ban; and the implementation of international standards to protect workers and the public from the asbestos hazard. 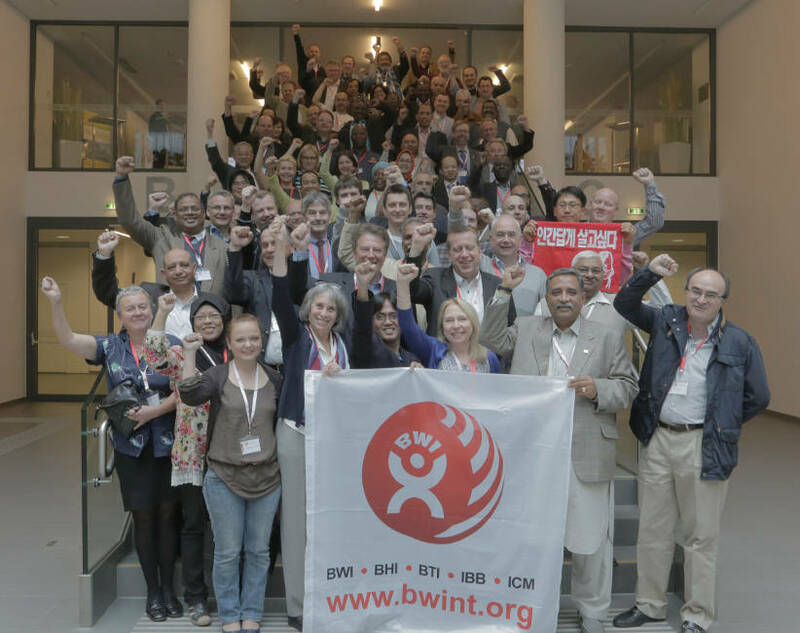 BWI President Per Olof Sjoo and Fiona Murie, the BWIs Global Director of Occupational Health and Safety, emphasized the BWIs long-standing struggle to secure safe working conditions for their members emphasizing the high risk to construction workers of occupational asbestos exposures. Per Olof Sjoo, President of the BWI. They contrasted the huge discrepancy between the situation in industrialized countries and emerging economies; in most of the former, the only permitted handling of asbestos is by highly protected and trained technicians during asbestos removal operations while in the latter, asbestos is regarded as just another raw material. Since the BWIs 2008 asbestos conference, progress has been made in collaboration with global partners including labor federations, national centers, asbestos victims groups, campaigning bodies, non-governmental organizations and sympathetic experts. The terms of reference of the asbestos dialogue have moved on even in countries which have not yet banned asbestos, said Ms. Murie. Fiona Murie, BWIs Global Director of Occupational Health and Safety. 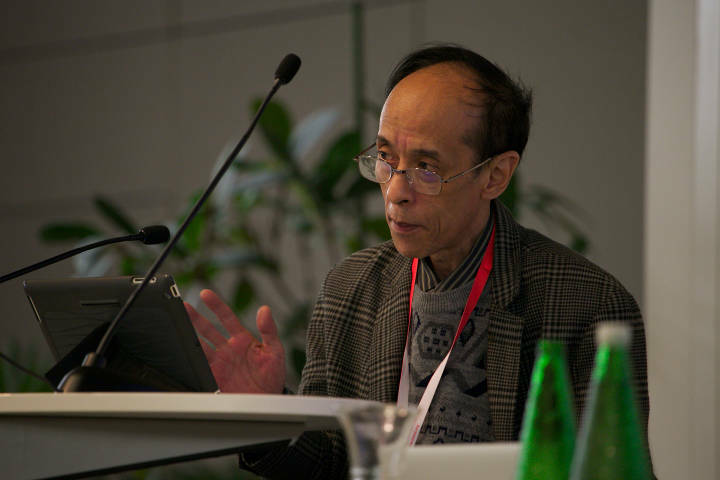 The formation of the Asian Ban Asbestos Network (ABAN) at the 2009 Asian Asbestos Conference in Hong Kong has proved pivotal in raising the profile of the asbestos hazard in Asia and abroad. ABAN has worked closely with its trade union and campaigning partners such as the BWI and the International Ban Asbestos Secretariat. One joint venture that has achieved iconic status was the ABAN Solidarity Mission to Quebec. 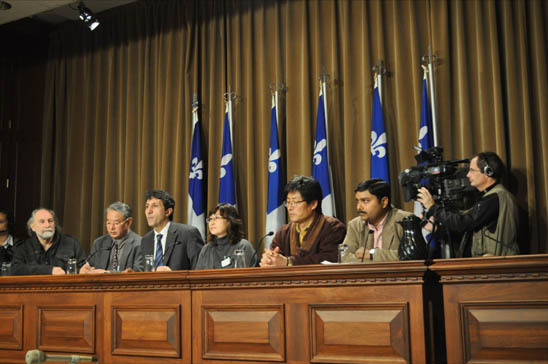 ABAN Solidarity Mission to Quebec, 2010. Data and graphs presented by the speaker revealed that asbestos consumption in Asian countries has increased over recent years. Nowadays, 70% of global asbestos consumption is in Asia and takes place in countries with weak or non-existent health and safety regulations. Despite progress being made, there have been no new national bans since 20124 and Russia  the worlds leading asbestos producer  is increasing its level of asbestos exports. 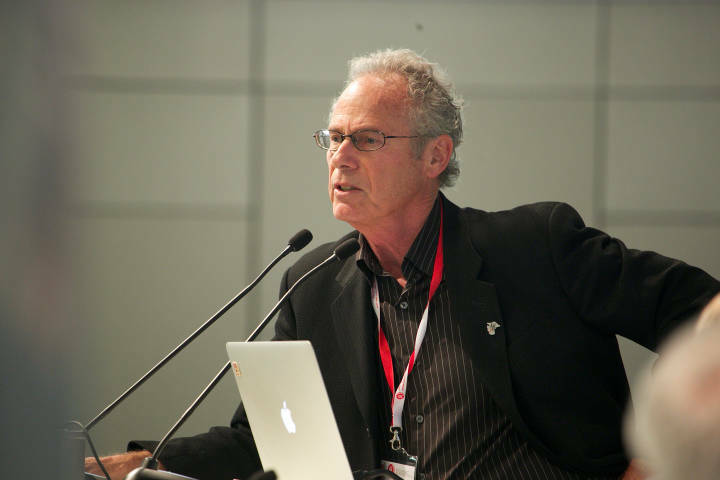 The presentation by Larry Stoffman of the United Food and Commercial Workers Union, Canada was entitled: Eliminating Asbestos Use and Export in Canada: Protecting Workers in Canada and Abroad. The speaker focused on the role played by Canadian workers in the domestic asbestos debate and the consequences for Canadians of workplace asbestos exposures. The history of Canadas asbestos mining industry is one with both positives and negatives. Iconic strikes for better working conditions and the right to unionize took place at the Johns-Manville and Cassiar asbestos mines. The most famous of these strikes was in Quebec in 1949 and lasted for four bitter months. Striking asbestos miners were jailed and beaten up by the police who were supported by the political and religious establishment. This strike was a turning point in Quebecs history and even now occupies a place of pride in trade union lore. This pride was manipulated by Quebec asbestos industry stakeholders to obtain financial and political support from the federal government. The price paid by Canadian workers for asbestos exposures has been horrendous; asbestos-related diseases are the biggest occupational killer in the country. Going against the pro-asbestos policy of the Quebec government, in 2004 scientists from Quebecs National Institute of Public Health announced findings which revealed an epidemic of asbestos cancer in the Quebec mining region amongst local people and mine workers.5 To protect their members from the asbestos hazard, trade union activists engaged in a series of initiatives at home and abroad to build coalitions with labor federations, cancer charities, victims groups, non-governmental organizations, human rights groups and international bodies. They aimed to: develop strategic policies which linked the rights of Canadian workers with global campaigns; pursue policies of just transition for asbestos workers and communities; and campaign for the banning of asbestos. It was, the speaker said, important not to neglect hazards faced by workers outside the asbestos sector: construction workers, for example, are at a high-risk of contracting asbestos-related diseases. Developments which were to prove crucial for the ban campaign were obtaining the support of the Canadian Labor Congress, Canadian Cancer Society and the New Democratic Party. Concluding his talk, Mr. Stoffman reminded delegates that although asbestos is no longer mined, it has not been banned in Canada. Senior ILO Specialist on Occupational Safety and Health, Igor Fedotov discussed ILO Policy and Activities and Technical Cooperation on Eliminating Asbestos-related Diseases. The ILO policy on asbestos is based on its international instruments which provide solid legal bases as well as practical guidance for comprehensive preventative measures at the national and enterprise levels... One such instrument is the ILO Resolution on Asbestos adopted in 2006. It calls for the elimination of the future use of asbestos and the identification and proper management of asbestos currently in place... Importantly, it also explicitly states: the ILO Convention on Safety in the Use of Asbestos, No.162 should not be used to provide a justification for, or endorsement of, the continued use of asbestos. There are examples, however, when Convention 162, itself a landmark international instrument when adopted in 1986, has been improperly interpreted and used since it prescribes measures for improving safety in asbestos workplaces; by contrast, the 2006 Resolution stresses the need to stop the handling of all forms of asbestos and asbestos-containing products, except when necessitated by maintenance or demolition work. 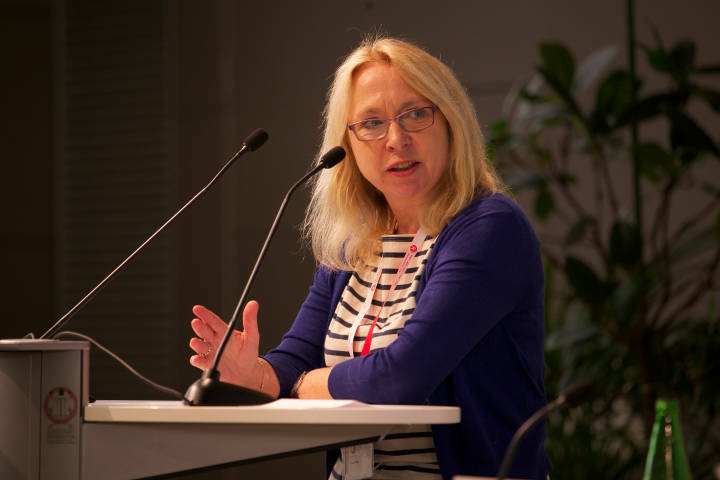 After delineating the range of ILO international instruments and codes of practice relevant to the organizations effective asbestos policy, the speaker pointed out key provisions of Occupational Cancer Convention (139) and Asbestos Convention (162). Among other provisions, both conventions call for replacement of carcinogenic substances such as asbestos wherever feasible. Since there was now a wide range of asbestos substitute products available, enterprises had much to gain from making such replacements; apart from safeguarding the health of their workers they could reduce the risk of legal action in the future and gain a public-relations boost. To confront the continuing problem of high levels of asbestos related diseases (ARDs) the ILO in conjunction with WHO had prepared an Outline for the Development of National Programs for Elimination of Asbestos Related Diseases (NPEADs). The implementation of NPEADs would be part of cooperative global efforts to bring best practices to a wider range of countries. So far, in Asia, only Japan and Korea had ratified ILO Convention 162; more countries needed to take this important step in order to protect workers against asbestos-related hazards. However, it was encouraging that at an inter-agency asbestos workshop held in Bangkok in 2010 all countries taking part submitted outline plans for tackling asbestos hazards; while some of these represented very early stages of developing effective strategies, at least all the participants recognized that they would eventually need to address the problem of asbestos exposure and resultant diseases. In many countries lack of trained specialists and poor health surveillance led to a low level of diagnosis of ARDs. The ILO was able to provide technical assistance to governments with advice on such topics as strengthening health surveillance and x-ray certification schemes and to individuals by initiatives such as the training of physicians to use the ILO Classification of Radiographs of Pneumoconiosis. Recently the ILO has been cooperating with the International Maritime Organization (IMO) to develop guidelines to support the IMO Convention on Environmentally Sound Ship Recycling adopted in 2009.
International Association of Labour Inspection (IALI) Adviser, Gerd Albracht discussed Professional, Ethical and Effective Labour Inspection Worldwide: Regional Alliances and Partnership in the context of the Association acting as an instrument for promoting and facilitating high standards for labour inspection across a wide spectrum of differing economic cultures. With 120 members representing more than 100 countries the IALI was well placed to fulfil such a role. Thousands of labour inspectors worldwide provided an invaluable pool of expertise and experience. The speaker stressed the need for a transparent code of ethics to be applied by both inspectors and inspection authorities. There should be no disconnect between policy development by Ministries or Parliaments and the implementation of policy; in fact the experience of inspectors should feed into the policy-making process. To gain wide acceptance by both the general public and workers, policy initiatives regulated and enforced by labour inspectors must be shown to be effective in achieving desired goals; this requires carefully planned performance monitoring. A key element of the IALIs international strategy was to promote regional alliances. Regional cooperation yielded benefits in the form of shared good practice, collaborative action and combined resources. Recent sharing initiatives catalysed by the IALI included: the Sofia Agreement, 2008; the Tunisia Agreement, 2010; the Halong Recommendations, 2010; and the Moscow Declaration, 2011. In spite of such initiatives there remained a great disparity in labour inspection coverage in terms of both quality and numbers; in developed countries one inspector was responsible for around 10,000 workers, but in sub-Saharan Africa and some Asian countries for more than 80,000. In addition to regional cooperation, with regard to asbestos, the IALI has been actively involved in partnership projects with trade unions, health professional and employer associations, victims groups, and the EU: EFBWW  IALI  FIEC6 Joint Dissemination Project; European Asbestos Campaign, 2006; the EFBWWs Asbestos Still a Killer campaign; and the EUs Asbestos-Free Europe Resolution, 2013. 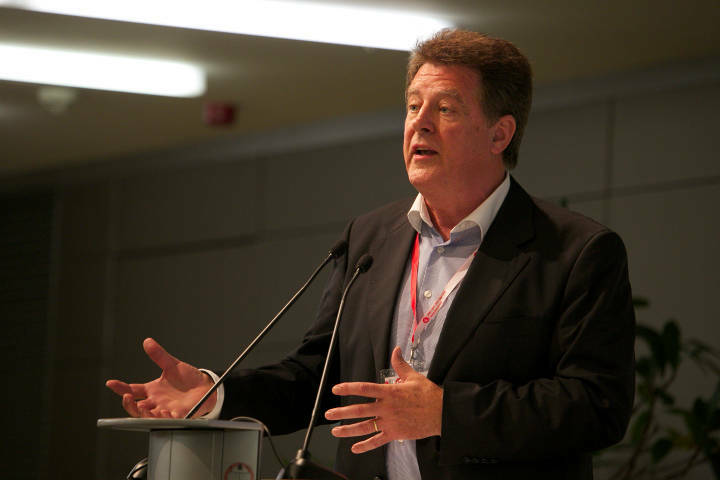 In formulating provisions of the latter resolution, which calls for an asbestos-free Europe by 2028, there was close cooperation between victims groups, the EFBWW, the BWI, the IALI and EU policy makers. 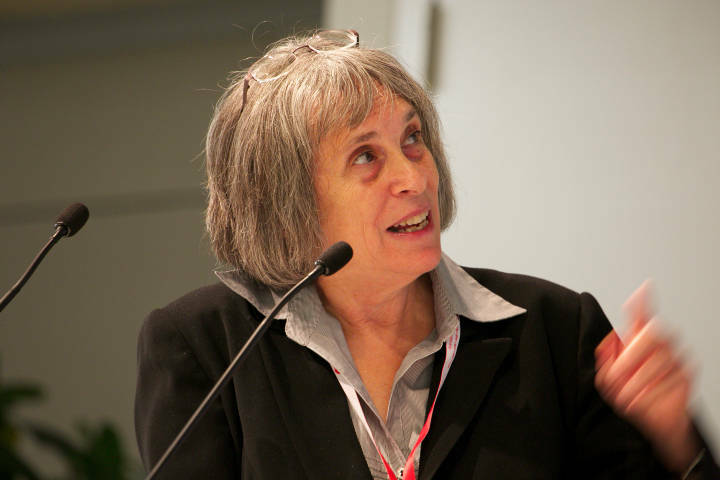 The subject of the presentation by Laurie Kazan-Allen, the Coordinator of the International Ban Asbestos Secretariat, was The Asbestos Frontline: Then & Now. Contrasting the substance and context of the asbestos dialogue twenty-five years ago, when the BWI declared its support for an asbestos ban, with current thinking, the speaker highlighted progress made by the coalition of asbestos victims, trade unionists, health and safety advocates, politicians, labor inspectors and other citizens concerned about the deadly impact of asbestos exposures. In 2014, the asbestos war is, the speaker said being fought on two fronts: countries where asbestos has been banned and those in which consumption remains legal. Examples cited from ban and non-ban countries detailed successful strategies and outreach initiatives which raised asbestos awareness, improved support for the injured and exposed industry stakeholders and negligent corporations. The impacts of campaigns by the Asbestos in Schools Group (UK), Italian asbestos victims and trade unionists, Korean asbestos victims, consumer advocates and environmental researchers, Hong Kong ban asbestos activists, Russian non-governmental organizations and Indian medical professionals were discussed. 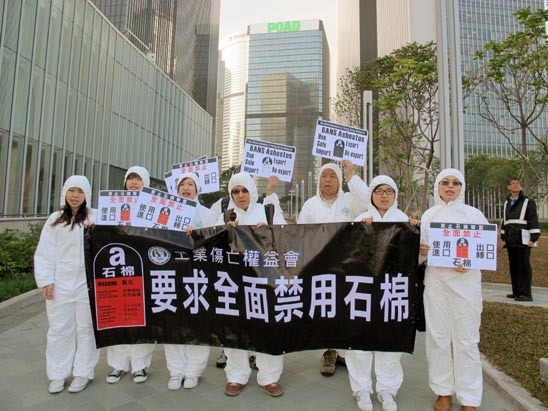 Demonstration by Hong Kong Ban Asbestos Campaigners. current international instruments or protocols to prevent the export of the asbestos hazard. Session Two  Trade Union Experience: Transition, Prevention and Support after a Ban. 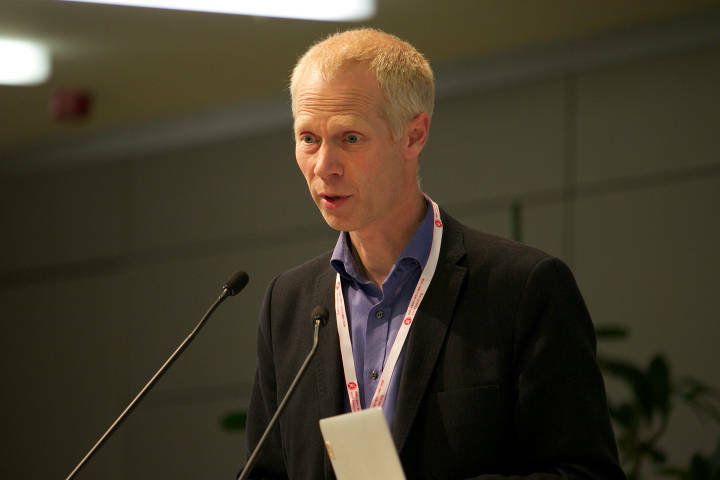 Ulrik Spannow of the European and Nordic Federations of Building and Woodworkers addressed the subject of: Trade Union Experiences in Europe - After the Ban. According to the European Commission, asbestos is Europes number one cause of occupational death. The EUs 15 million construction workers remain at high risk of hazardous exposures even though asbestos use has been banned in the EU. Acknowledging the threat posed by billions of tons of asbestos-containing products within the European infrastructure, the European Federation of Building and Woodworkers (EFBWW) developed a campaign to progress the goals of making Europe an asbestos-free zone and banning asbestos worldwide. The main priorities were the need to: register asbestos-containing buildings and workplaces; establish protocols for safe removal including training regimes for at-risk workers; and improve schemes for the recognition and compensation of asbestos-related diseases. Collaborative pathways were established which enabled productive dialogues to occur. Stakeholders consulted included unions, labor federations, asbestos victims groups, employers organizations, labor inspectorates, national prevention institutes, EU member states and key EU decision makers at the European Commission, European Parliament and Council of Ministers. As a result of these discussions an Asbestos Initiative Report approved by the European Parliament was adopted on March 14, 2013. The 62 suggestions included calls for specific measures to address asbestos challenges faced by workers as well as members of the public. Other resources which have been developed or are under development were Asbestos Information Material Modules, conferences, action days, a European certification scheme for asbestos trainers, research projects on the recognition and compensation of asbestos-related diseases in East and Central European countries and the publication by Construction Labour Research: The long and winding road to an asbestos-free workplace. 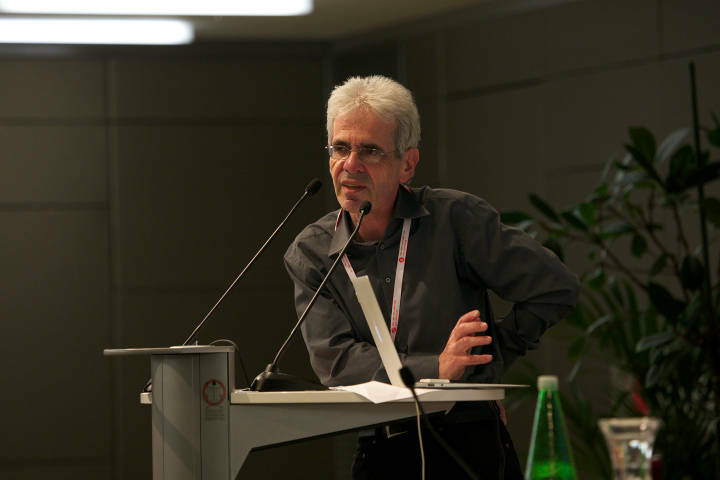 Dario Mordasini, from Switzerlands Building Workers Trade Union (UNIA), a BWI affiliate, presented a case study delineating actions taken in post-ban Switzerland entitled After the Asbestos Ban: Trade Union Experiences. 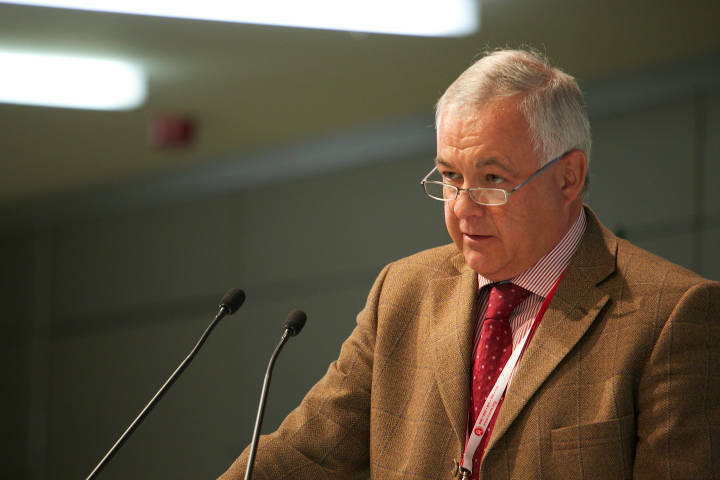 The speaker outlined the positives and negatives of the Swiss response to asbestos. In the former category are: moderate awareness of the asbestos hazard, guaranteed insurance benefits to some occupational asbestos victims; guidelines for the protection of employees of Swiss companies that operate in countries with no asbestos bans; regional laws which require asbestos audits as part of the process for obtaining building permits. In the latter category were: a lack of in-depth knowledge about the asbestos hazard; failure to compensate victims of non-occupational exposures; a 10-year statute of limitations on hazardous exposures; no mandatory asbestos audits or public registers. Asbestos collaborations by UNIA with government and social partners have resulted in targeted information campaigns using traffic light coding (red for dont touch), public relations initiatives, online resources such as an interactive Asbestos House and digital tools to create asbestos inventories, art projects and publications.7 Recent developments have brought both good and bad news. On March 11, 2014, the European Court of Human Rights handed down a judgment which supported an asbestos claim by the family of a deceased Swiss worker despite the fact that the 10-year statute of limitations had expired. On the down side, is the tendency towards the dismantling of legal frameworks, including loosening restrictions on the import of asbestos, which is being observed in Switzerland and other countries. 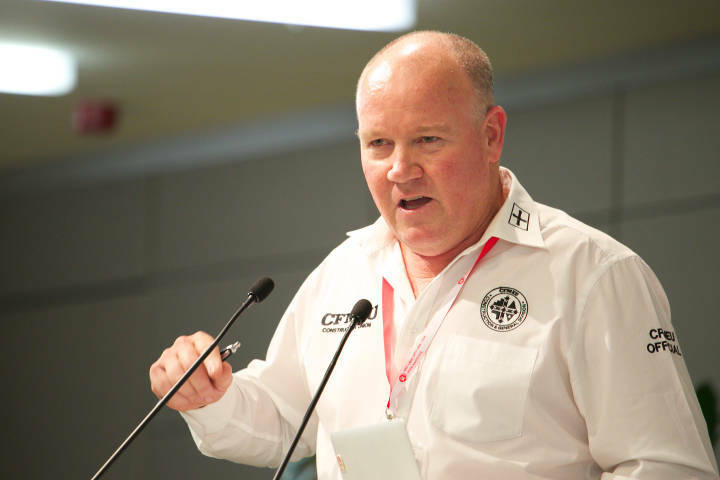 The title of the presentation by Brad Parker, the Assistant National Secretary of the Construction Division of Australias Construction, Forestry, Mining and Energy Union (CFMEU), was Making Australia Asbestos Free. Between 1945 and 1987, Australia had the worlds highest per capita use of asbestos as a consequence of which it has experienced the countrys worst ever epidemic of occupational disease. As in other countries, workers in the construction sector are one of the worst affected categories with high incidences of asbestos-related diseases such as asbestosis, mesothelioma and other cancers. CFMEU official Tony Medina fought for tougher asbestos regulations and protective measures for at-risk workers. He was diagnosed with mesothelioma in 2007 and died the following year at the age of 43. Australias 2003 asbestos ban was a result of years of work to raise awareness and lobby government for change; trade unions, in collaboration with partnering organizations, played a key role in this campaign. The speaker cited the CFMEUs actions to Make James Hardie Pay as pivotal in forcing the government, the financial authorities and the judiciary to reconsider plans by James Hardie, Australias one-time asbestos giant, to relocate its operations overseas, leaving the bulk of its asbestos liabilities behind. While punishing corporate criminals was important, preventing further exposures was vital, the speaker said. To this end, trade unions held an asbestos summit in 2010 which developed a road map to make Australia asbestos free. The summits recommendations led to the formation of the National Asbestos Eradication Agency, a Canberra-based body tasked with increasing awareness of the asbestos hazard, implementing best practice protocols, developing a national system to progress decontamination work and campaigning for a global end to asbestos use. Although doubt has been cast upon the future of this agency by the Abbott government,8 the CFMEU would continue to confront the terrible [asbestos] injustice perpetrated on innocent Australians by ruthless employers, impotent regulators and negligent governments. The struggle continues. 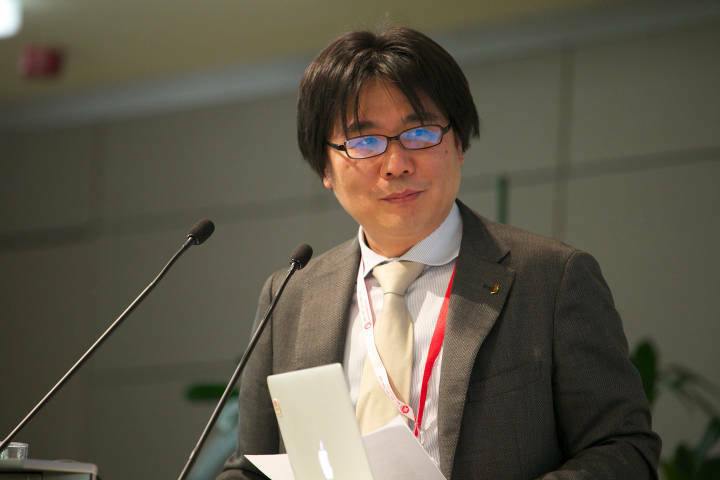 The next speaker was Satoru Takyu from Zenkensoren, the Japanese Federation of Construction Workers' Unions. His subject was Zenkensorens Activities on Asbestos Issues. Having outlined the actions by the Japanese government to minimize the asbestos hazard which culminated in 2012 with the elimination of the sole remaining asbestos derogation, the speaker highlighted the steps taken by Zenkensoren to raise asbestos awareness amongst its members and lobby the government as well as the medical community for change. Since the 1980s, the union has produced educational materials on asbestos, including brochures, videos and DVDs aimed at workers in the construction and repair sectors. Zenkensoren has participated in civil society coalitions such as Ban Asbestos Japan (BANJAN) and been pivotal in negotiations which resulted in laws to increase occupational protection and provide medical support, including monitoring of at-risk individuals, and compensation for the asbestos-injured. In May 2008, members of Zenkensoren mounted Japans first asbestos collective action by construction workers; the claimants were seeking an apology and compensation not only from their employers but also from the government. The cases, which were heard in the Tokyo and Yokohama District Courts, had different outcomes. On May 25, 2012, the Yokohama District Court denied the liability of the government and manufacturers; on December 5, 2012, the Tokyo District Court accepted the governments liability for employees cases awarding one third of the total amount of assessed damages as the governments liability was secondary. Whilst acknowledging the social responsibility of the manufacturers, the Tokyo Court did not order them to pay compensation. Appeals in both legal actions are now pending. Zenkensoren continues to press for fundamental legal, economic and social changes to secure the rights of asbestos victims, the majority of whom were construction workers. The human and environmental legacy of South Africas asbestos industry has been disastrous. The Truth and Reconciliation Commission judged the asbestos mining industry guilty for human rights abuses in its treatment of workers. South Africas incidence of asbestos-related diseases, including asbestosis and mesothelioma, is amongst the highest in the world. The majority of people diagnosed with these diseases were occupationally exposed to asbestos in mines, mills, factories, power stations or at construction or refurbishment sites; workers who handled or transported asbestos cargo were also at high risk. The environmental impact of asbestos mining in communities in Mpumalanga province, specifically in the Barberton area, and in Swaziland has not been quantified. The asbestos-injured face a protracted, frustrating and often unsuccessful battle to obtain compensation from mining companies and employers responsible for their diseases. what steps were needed to ensure a just transition for workers and communities affected by asbestos bans? what measures and incentives were effective to increase the number of specialist asbestos removal operatives and companies? 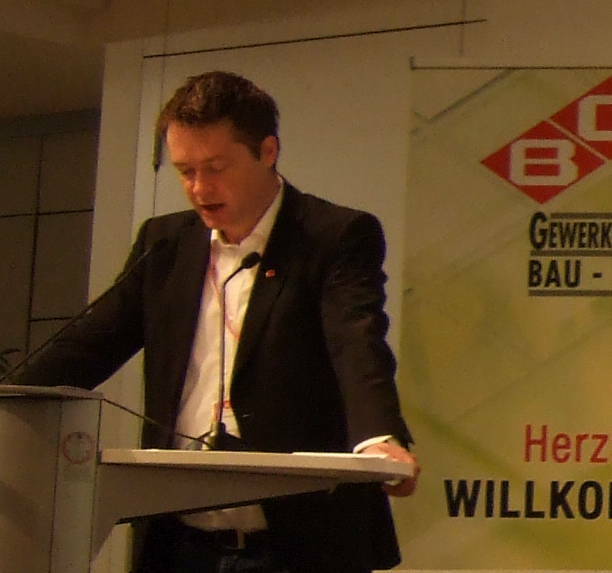 Discussions continued during the solidarity dinner which was hosted by the conferences Austrian sponsors, the construction union Die Gewerkschaft Bau-Holz. The presentations on the second day of the conference (May 7) explored the situations in countries where asbestos consumption was ongoing and examined technical issues, global frameworks and industry agreements for ending asbestos use. Session Three  Trade Union Experience in Asbestos Consuming Countries: Future Strategies and Activities. 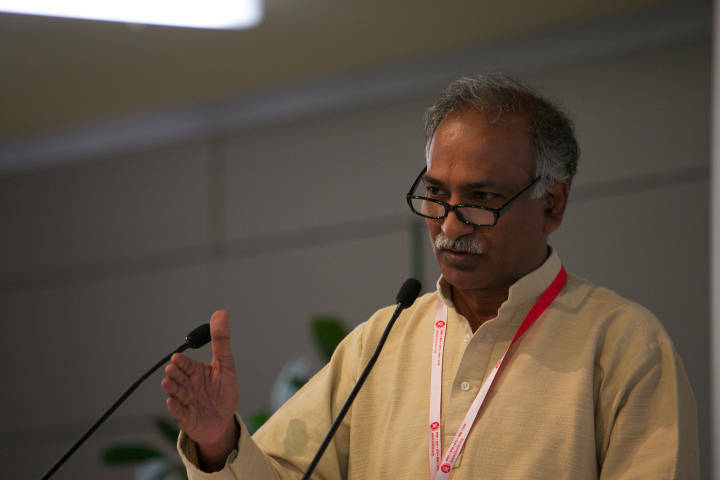 The first speaker was Ramamurthy Karnan, President of the Indian National Rural Labour Federation (INRLF), a BWI-affiliate; his subject was Asbestos Issues in India,the worlds second biggest user of asbestos. Since the beginning of the 21st century, annual consumption has more than trebled. The nearly 500,000 tonnes of asbestos used every year is an occupational and public health hazard; needless to say, in the vast majority of cases, asbestos is being used with no health and safety precautions. Trade union ban asbestos activities are conducted in a hostile economic and political climate as the multibillion dollar asbestos sector has powerful allies in all levels of government, the media and the judiciary. In the face of determined industry opposition, successes have been achieved. Outlining the INRLFs asbestos campaign, the speaker described initiatives which targeted trade union leaders, workers, consumers, affected communities, civil servants and the media. 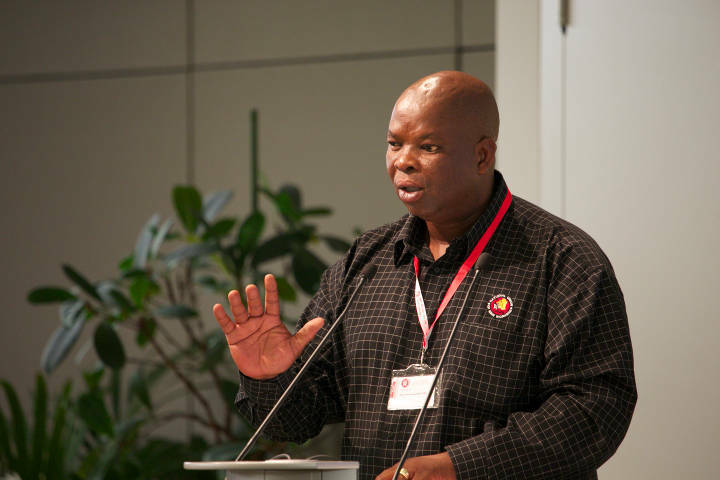 Whilst working at the grassroots, union activists have also taken part in negotiations with parliamentarians, lawyers, medical professionals, trade associations and civil society partners about the need to implement ILO and WHO asbestos policies. Efforts to raise awareness of the asbestos hazard and to mobilize support for an end to asbestos use have been pursued via public rallies, village level study circles, local language materials and capacity building programs for trade union leaders. Union lobbying of elected representatives, agreements with builders associations, the formation of a victims group, the submission of a petition to the railway authorities in Kerala and a medical camp for asbestos workers in Orissa have progressed the INRLFs ban asbestos agenda. As a result of union pressure, the Government of Tamil Nadu announced that asbestos roofing on 5,500 primary and middle schools would be replaced by safer materials. 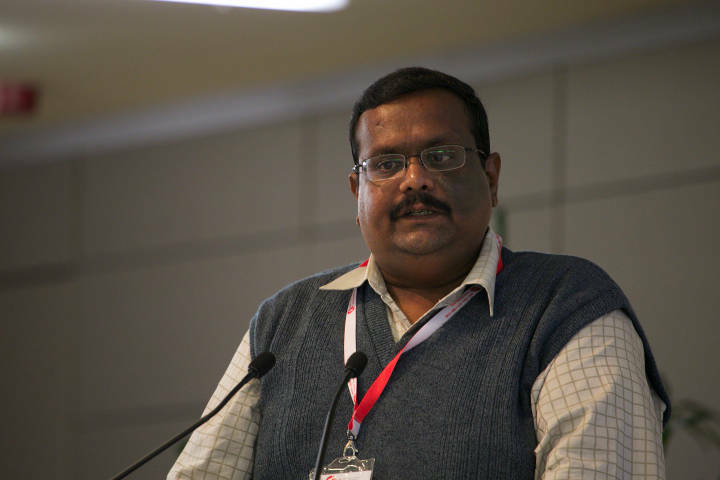 Dialogues with like-minded movements such as the Occupational and Environmental Network of India, the Asian Network for the Rights of Occupational and Environmental Victims, the Ban Asbestos Network of India continue and joint initiatives are under discussion. 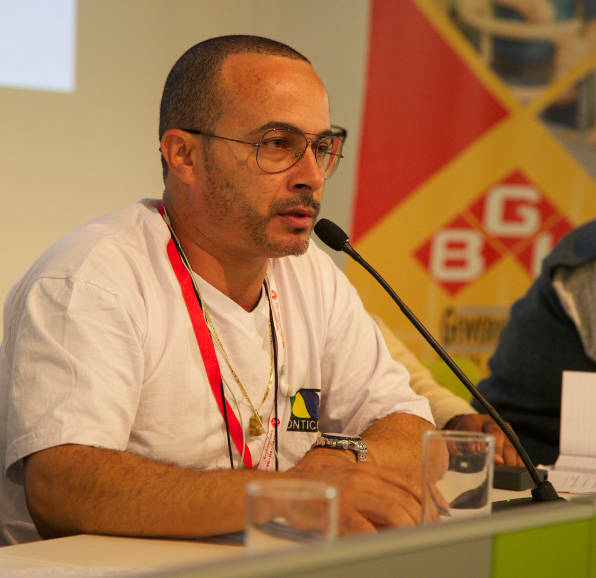 Luiz Carlos José de Queiroz of Brazils Construction Trade Union, the Confederação Nacional dos Sindicatos de Trabalhadores nas Indústrias da Construção e da Madeira diliados à CUT [CONTICOM], discussed Asbestos in Brazil. In 1995, the use of several types of asbestos was prohibited; the exception was chrysotile (white) asbestos which is mined, processed and handled under a federal policy of controlled use.11 The status quo is aggressively supported by asbestos industry stakeholders including members of industry-backed workers groups: the Confederação Nacional dos Trabalhadores da Indústria (CNTI/National Confederation of Industrial Workers) and the Comissão Nacional dos Trabalhadores do Amianto (CNTA; National Commission of Asbestos Workers). Within the federal government there are deep divisions over asbestos amongst Ministries with support for a ban coming from the Ministries of Health and Environment and opposition to a ban from the Ministries of Mining, Energy and Commerce. The use of chrysotile has been outlawed by some states and municipalities; elsewhere asbestos-containing products must be appropriately labelled. This issue of whether the use of a known carcinogen is constitutional is currently being considered by the Brazilian Supreme Court. Luiz Carlos José de Queiroz. According to government data there were 20 asbestos-related deaths up to 1983; between 2000 and 2013, 90 deaths were reported. This was, the speaker said, a gross underestimate of the true impact asbestos has had on Brazilian workers. To raise awareness of the deadly hazard posed by asbestos, a number of educational resources, including leaflets, books and advertisements, have been developed in collaboration with labor federations, the Association of the Asbestos-exposed (ABREA), government ministries and other civil society partners including the International Ban Asbestos Secretariat.12 CONTICOMs support for a Brazilian ban on the use of asbestos in all construction projects was reconfirmed during the first national meeting of Brazilian construction industry workers which took place in the city of Luzinia, in Goiás State in October 2013. In his discussion about Ship-breaking in South Asia, Nasir Mansoor from Pakistans National Trade Union Federation said that the issue of asbestos had a low priority on Pakistans agenda. Twenty thousand workers are employed in forty ship-breaking yards in Gadani, Pakistan; indirect employment for a further 100,000 workers is also provided by these workplaces. Employers maintain that as ship-breaking is not an industry, there are no enforceable health and safety regulations which apply and asbestos waste removed from the ships is openly dumped on land and at sea. There are no inspections by labor inspectors and the only union representation is provided by organizations which are backed and manipulated by the ship-breaking companies.13 To compound the dangerous situation facing workers in the ship-breaking yards, the government uses anti-terrorist legislation to suppress trade union activities. The election of workers representatives and collective bargaining are banned activities. the need for international solidarity with activists in new sectors and in new forums. in China, the production cost of one metric ton of fiber-cement board using PVA and cellulose was €104; asbestos-containing board cost €90 (13% less). In general, non-asbestos materials were cheaper to produce in Asia than in Europe because the region was closer to the only two sources of PVA: Japan and China. Looking at the smaller price differential in Asia, it was of interest to note that the price of raw asbestos fiber had increased considerably over the last few years. The next speaker Dr. Do Quoc Quang from Vietnams Research Institute of Technology for Machinery, Ministry of Industry and Trade, provided complimentary information on the subject of asbestos-free technology in his presentation: Solution of Substitution to Asbestos in Roofing Sheet Manufacturing in Vietnam. Government-initiated research into non-asbestos technology began in Vietnam in 2001. Having delineated key staging points in the development of this new technology (NT), including patents obtained, and exhibited photographs of the latest equipment and infrastructure, the speaker said that Vietnam was now exporting its asbestos-free products to Japan, Korea and the Middle East. The transition to the NT had not been easy with production hiccups that resulted in NT materials having defects that affected their strength and durability. It was important for manufacturers to: develop an expertise in the processes, utilize suitable machinery, consult technical specialists, and appropriately train workers, engineers and managers. 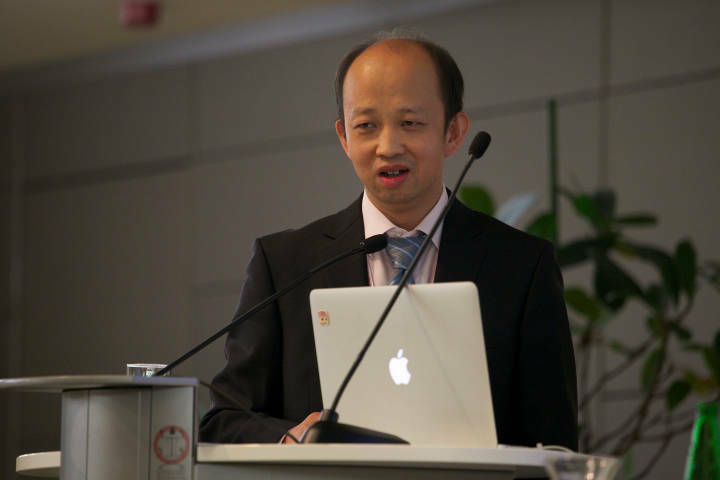 Dr. Quang reiterated the price differential highlighted by the previous speaker saying that the cost of NT products in Vietnam is between 15-30% more than asbestos products. There is aggressive opposition to the NT by asbestos suppliers including members of the Roof Sheet Association of Vietnam; as public awareness of the hazard is low, demand for asbestos-cement sheeting remains high with around about 100 million m2 sold every year. To address the lack of transparency regarding available information about asbestos, new dialogues are required amongst stakeholders including researchers, managers, policy makers and the public. Recent opportunities for spreading awareness were: the Scientific Workshop on Alternative Materials, Hanoi, March 2013, the Scientific Workshop on Asbestos-Related Disease Prevention in Hanoi, February 2014 and the upcoming International Inorganic Bonded-Fiber Composites Conference in Da Nang, September 2014.
the need to create a sustainable and worker-friendly industrial policy. Session Five  Plenary Discussion: Whats Next? acknowledging the crucial role of victims as the public face of national asbestos epidemics. 1 Building and Woodworkers International. International Conference on Asbestos. 2 BWI and Industriall. Asbestos is a Killer. 2014. 3 Asbestos Campaign Documents and Posters.EFBWW. Information modules for the safer handling of asbestos. EFBWW. 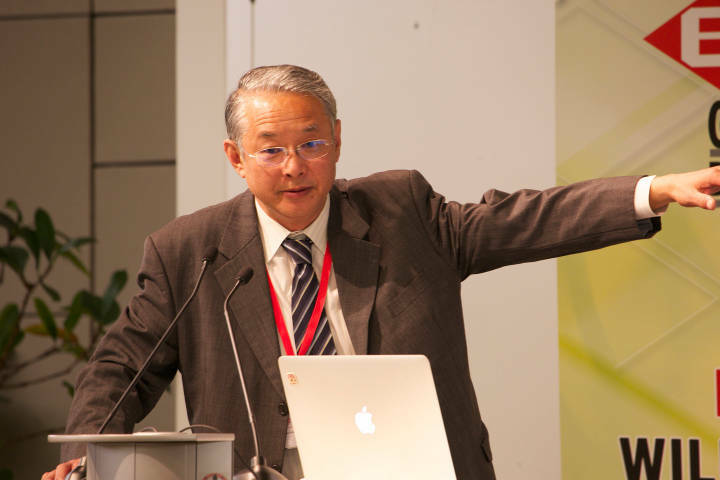 4 Mr. Furuya highlighted the work of ban asbestos activists in Hong Kong which led, he said, to the asbestos ban introduced by the Hong Kong authorities in April 2014. 5 National Institute of Public Health, Quebec. The Epidemiology of Asbestos-related Diseases in Quebec. July 2004. 6 FIEC: European Construction Industry Federation. 7 The Asbestos House and digital tools to create asbestos inventories were initiatives undertaken by SUVA, formerly the Swiss Accident Insurance Fund and now an independent, non-profit company under public law. Also see: CFMEU rejects the abolition of the Asbestos Safety Council: too many lives at risk. May 7, 2014. 9 Turnall Fibre Cement, Zimbabwes leading asbestos products manufacturer, lobbied the South African government to drop the ban bill saying that the prohibitions would have a negative impact on the countrys export earnings. 10 The job creation element of the decontamination programme has benefitted communities by sourcing labour and material locally and is a fundamental requirement for all government-funded rehabilitation projects. 11 There is one Brazilian chrysotile mine; its output makes Brazil the worlds fourth largest asbestos producer. 12 The IBAS text Eternit and the Great Asbestos Trial was translated into Portuguese and published in Brazil in 2012. Pictures taken at the launch of the book in Brasilia were shown. 13 In Pakistan, fewer than 3% of workers are members of trade unions. 14 The use of asbestos products was forbidden at high profile events such as the 2008 Beijing Olympics, the 2010 World Expo in Shanghai and the 2010 Asia Games in Guangzhou. Asbestos was classified as a hazardous and toxic substance by the Chinese government in December 27, 2012.